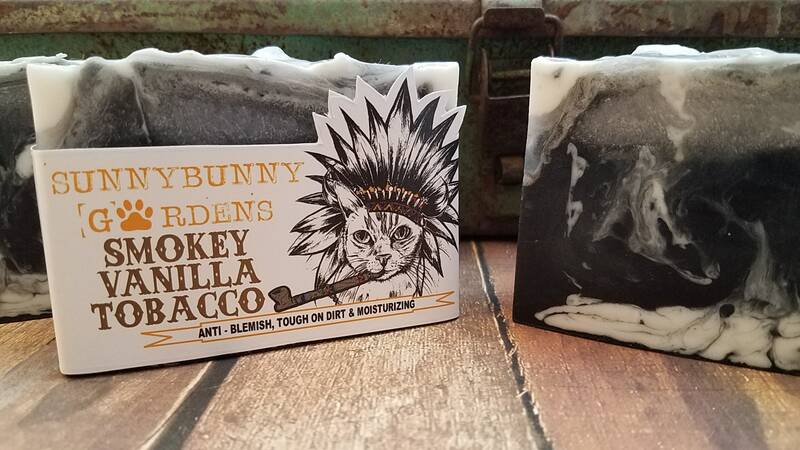 Want to smell rugged and outdoorsy? 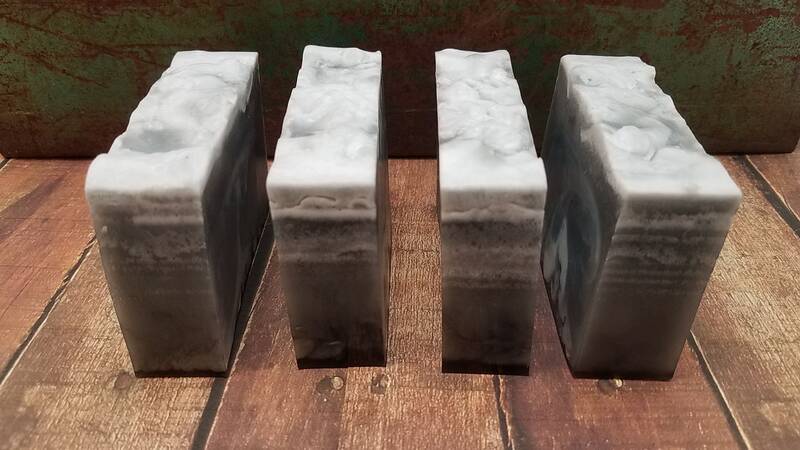 Then you will love the masculine scent of our Indian Tobacco & Vanilla soap bar. 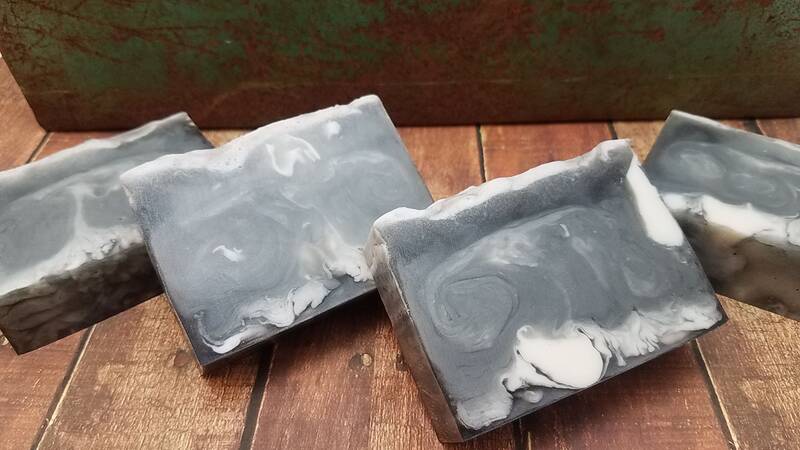 It is the perfect addition to a mans shaving soap or an everyday bar soap. 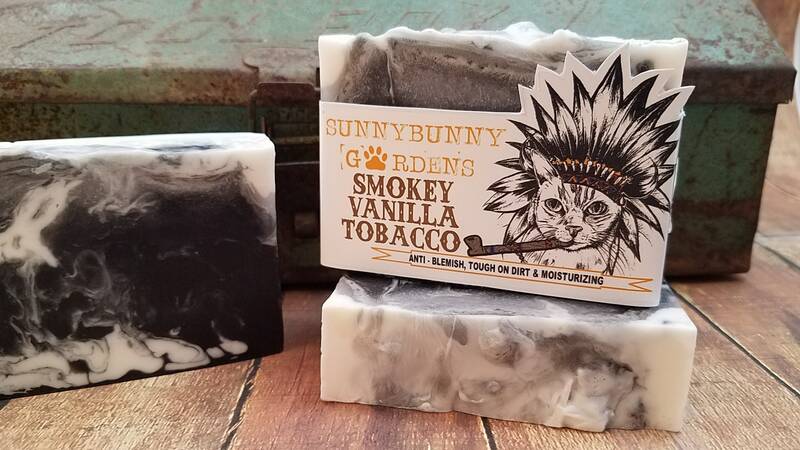 With notes of vanilla, bay leaf and fir needle mingle with cedarwood and crisp bergamot, reveals a warm tobacco vanilla scent. 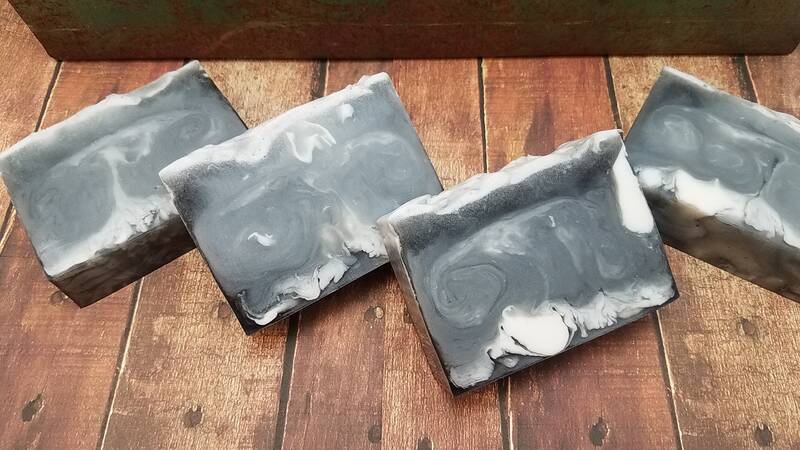 The fragrance has a fresh, clean aroma with well-balanced natural notes. 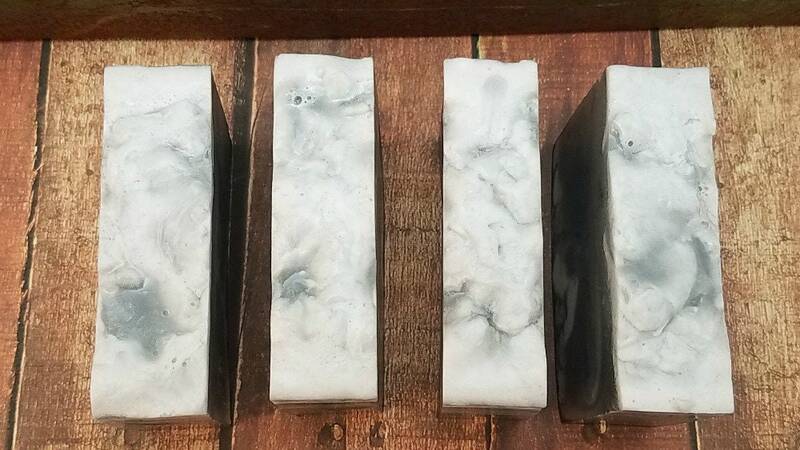 Our Indian Tobacco & Vanilla soap bar is made with olive oil and Shea butter for a rich and creamy lather. Also included is bentonite clay for a slick gliding surface for your razor. 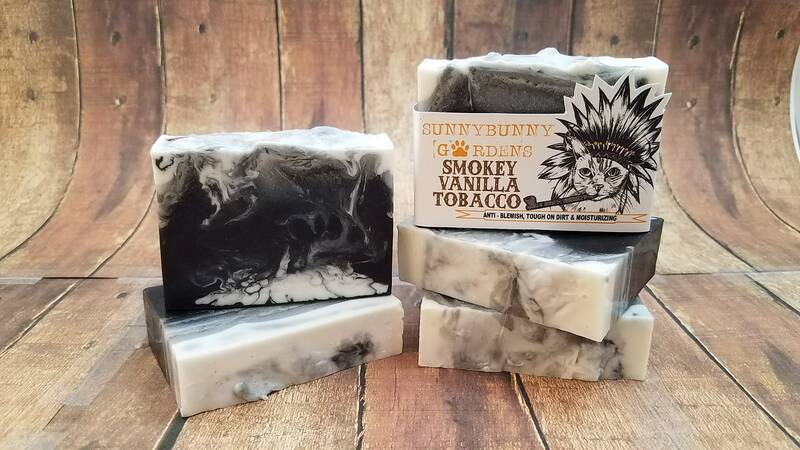 Don't worry, Sunny Bunny didn't take up smoking, it's just a prop! 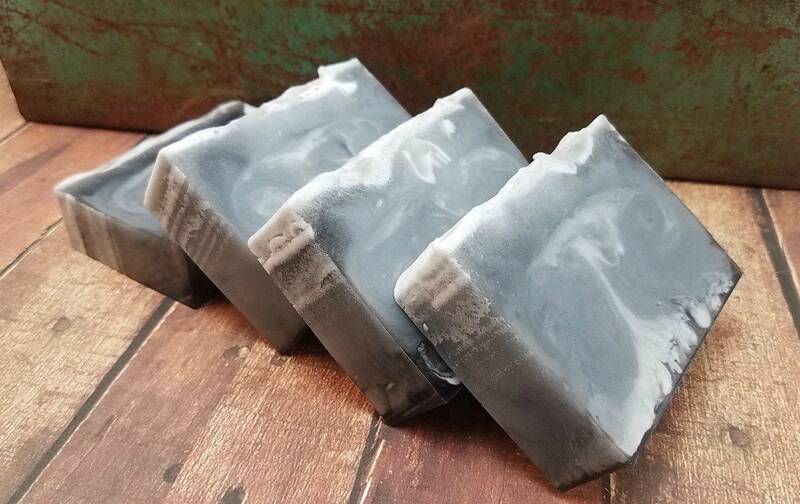 Our Organic Ingredients: Olive, Coconut, Palm & Safflower Seed Oil, Shea Butter, Plant Based Glycerin, Purified Water, Sodium Hydroxide (lye), Sorbitol (sugar alcohol used to prevent moisture loss), Sorbitan Oleate (plant based emulsifying agent, helps mix oils & water), Oat Protein, Bentonite Clay, Activated Charcoal, Essential & Fragrance Oils, Mica.